The Mandarin Oriental in New York City is New York’s most breathtaking luxury hotel. 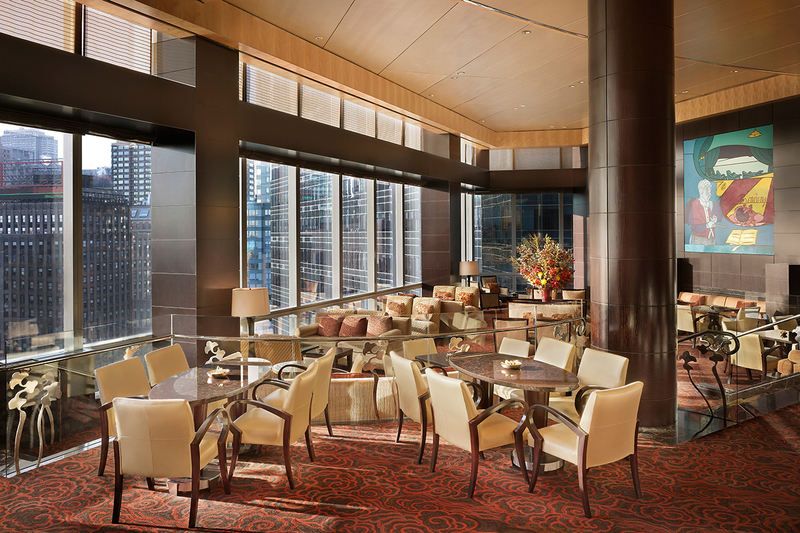 Soaring above the city, the Mandarin Oriental enjoys an unbeatable setting in the midst of the action. Stunning floor-to-ceiling windows overlook the Hudson River, Central Park and Manhattan’s glittering skyline, while the hotel’s sumptuous rooms and spacious suites offer the ultimate blend of style, comfort and luxury. After a busy day in Manhattan, visitors often unwind in the hotel’s elegant Lobby Lounge, the perfect place to enjoy a light meal or perfectly mixed cocktail amidst a stunning panorama of Central Park and the Manhattan skyline. Mixing art deco style with modern Oriental touches, the ambience is luxurious yet cozy. Stop by for a light lunch, afternoon tea, cocktails or even late night dessert, served with the glittering lights of the city as your background.